With school approaching, many of us are looking at what supplies are needed, who will be teaching our child this year, and preparing for the return of homework and tests. What we may not be thinking about is the importance of back safety and screening. Wear both straps. Slinging a backpack over one shoulder causes a person to lean to one side to compensate for the uneven weight, curving the spine. Overtime, this can cause back pain, stained shoulders, neck, and possible functional scoliosis. The type of backpack matters. When shopping for school supplies, know that the type of backpack can make a difference on a child’s posture. 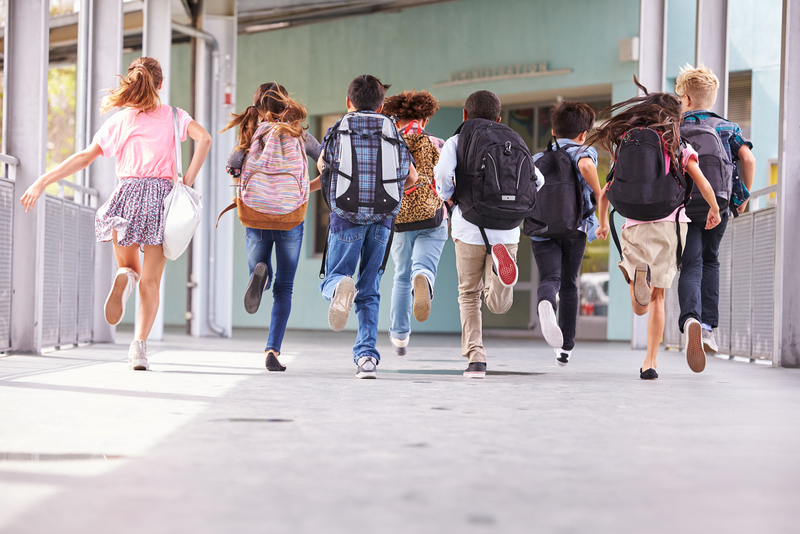 Key items to consider include backpacks with wide straps, having two straps as opposed to one across the body, and the weight of the backpack (canvas is lighter than leather). Another important part of back safety is proper screening, especially for young adolescences, prone to scoliosis. We suggest that your child be screened as they reach the ages of 10-13 years. It is a disease of the spine that often appears in adolescence & causes a sideways curvature in the spine in the shape of an “S” or “C”. It can be caused by muscle disorders, but in 80% of the cases, it can be attributed a growth spurt. The variety of treatment options for scoliosis includes physical therapy, bracing, and surgery. Determining the best course of treatment is based on the type and severity of the scoliosis, the patient’s age, and the guidelines established by the Scoliosis Research Society. 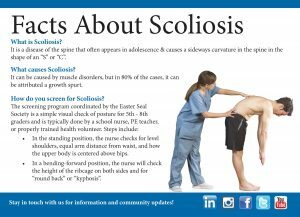 Physical therapists can provide care during any of the phases of scoliosis treatment, including bracing or post-surgery. They will evaluate and assess the posture and movement patterns of the whole body, noting any limitations caused by changes in the spine, and address other symptoms, such as pain and muscle imbalances. Your physical therapist will work with you and your child to develop an individualized plan tailored to the type and severity of the scoliosis as well as patient goals. Your physician will continue to closely monitor progress throughout the course of rehabilitation. Range-of-Motion Exercises. Your physical therapist will design a gentle range of motion treatment program to prevent limitations or to increase the body’s range of motion, if movement limitations are present. Strength Training. Your physical therapist will design a treatment program to strengthen any muscles surrounding the spine or in other parts of the body that have been weakened by the change in the spine’s position, such as the hips, shoulders, or even the head and feet. Manual Therapy. Physical therapists are trained to gently restore motion to joints and muscle tissue that may have become restricted due to scoliosis. They may use their hands to help guide and retrain movement patterns. Modalities. Several additional treatments, such as ice, heat, electrical stimulation or ultrasound may aid in achieving physical therapy goals. Your physical therapist will choose the most appropriate modalities for your particular case. Functional Training. Physical therapists are trained to be experts in assessing movement patterns, providing education on proper movement patterns, and retraining the body for optimal movement. Education. 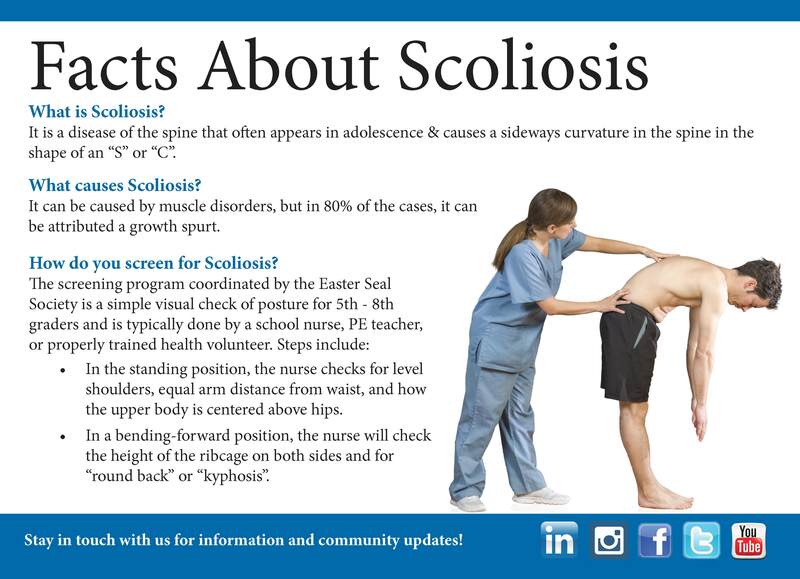 Your physical therapist will provide information about scoliosis and the effects on the body and movement. At Therapy Center, we believe that proper posture and safety starting at a young age can help prevent future injury – we hope you join us in our effort. If you are an adult with back pain or if your child has recently been diagnosed with scoliosis, contact one of our clinics today to schedule your assessment to learn about treatment options. You can also view our suggested exercises for ways to strengthen your core and relieve aches and pains. For more information and tips, visit our resources page on our website and follow our blog. Additional resources for this article were found on APTA’s MoveForwardPt.com.